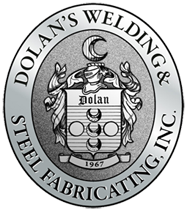 Since 1967, Dolan’s Welding & Steel Fabricating’s goal has been to provide superior quality welded and fabricated products. Our dedication to customer service and years of technical knowledge and skill have allowed us to help clients across all industries reduce costs and meet deadlines. We’re committed to continuing this tradition and we look forward to helping you on your next project. Over 50 years focusing on quality and dedication to customer service.